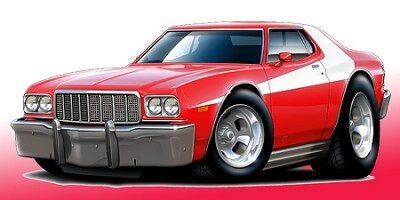 Does anyone know what models of the 72 Torino came with power windows/locks and how rare was the option? I have a full set and was curious. not sure how many? out of all the cars i've parted out only 1 had power windows but not locks, the harness should have it all even if it didn't have locks, should also have the wires for power seats in that harness too the 1 i had did, just not used. 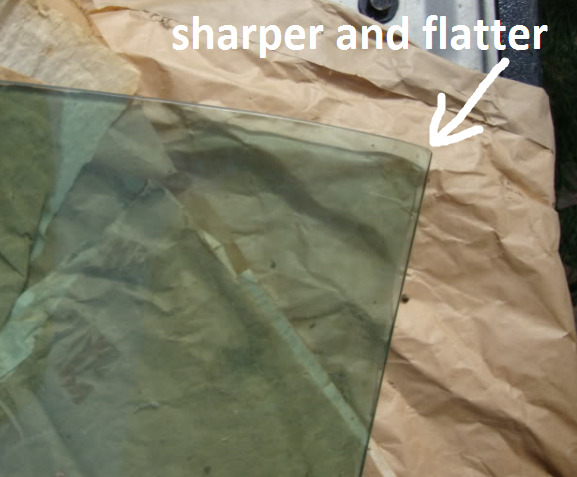 If you are going to install power windows into your '72 torino, you will need the door glass from a 72-76 torino that came with power windows originally from the factory. Or the door glass will only roll down one half to three quarters of the way down. 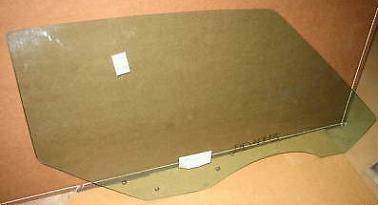 The door glass for torinos with power windows have an arch in the bottom of the door glass. There is a picture below of a glass with the arch in it. Notice how the glass is tinted. There is a picture below of a glass without the arch in it. Notice how the glass is not tinted. 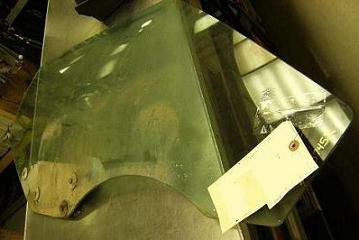 There is another picture below of a glass with the arch in it. Notice how the glass is tinted. There is a difference between the sport roof door glass and the formal roof door glass, at the top end where it meets the quarter window glass. Such as in the picture below. 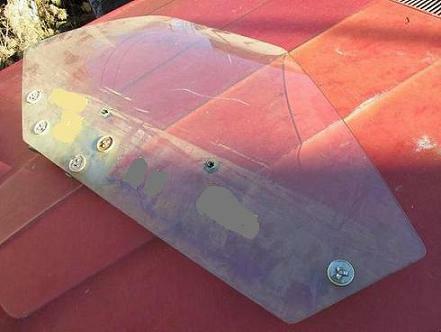 The sports roof door glass has a sharper flatter edge than the formal roof door glass. Such as in the picture below. The formal roof door glass has a rounder edge than the sport roof door glass. Like in the picture below. 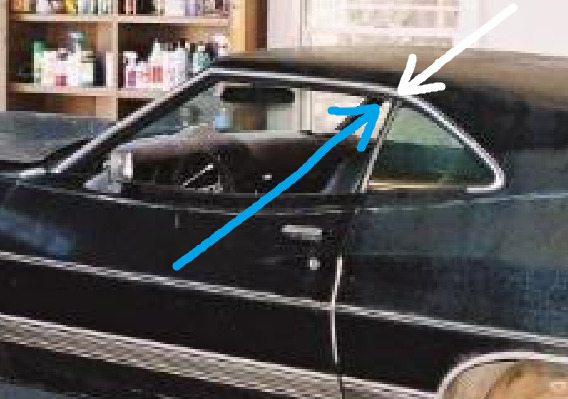 IF you use a formal roof car door glass on a sport roof car the glass will HIT the over window trim at the very rear corner. You also have to pay attention to whether or not the car had Air Conditioning with TINTED glass, or a non air conditioned car with clear glass. You might not want to put a clear glass on one side and the tinted glass on the other side. You will notice the difference when they are side by side. Both options were available but are relatively rare. Not sure on the numbers but I am sure Marti could figure it out. My car is has the factory 4-speaker system and it had the harnesses installed in the door for power windows. Dave covered off a lot of the details very thoroughly as usual! So most cars came with the same harness just if it didn't have the power window/ lock option it wasn't used? and what models did the option come on? trying to figure out how rare it actually is. No, I don't think most cars had the harness, just some. I believe my car has the harness only because it has the door speakers. I don't know how rare the option is, and I am not sure anyone has those numbers, but it's definitely not common on a '72. Have you got a Marti on your car? 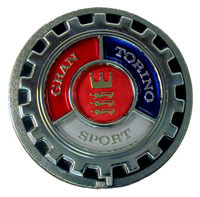 I don't have a torino myself. I just have a lot of spare parts. looking for a good project car.